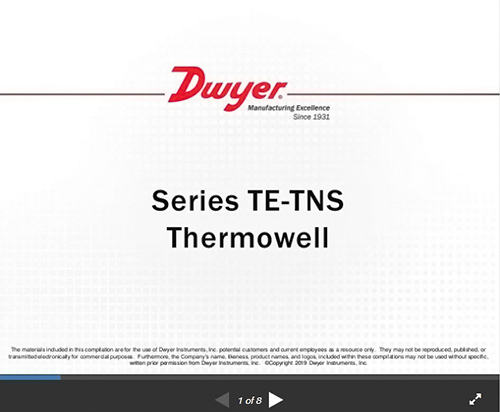 The Series TE-TNS Stainless Steel Thermowells are used to separate the instrument from the surrounding media. 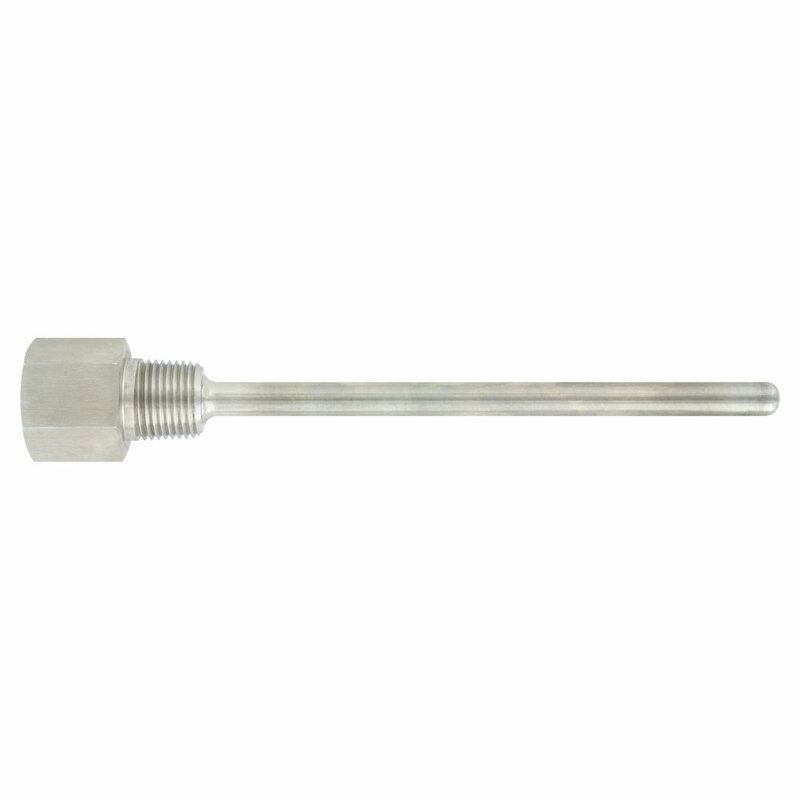 When used with the Series TE and TE-I Immersion Temperature Sensors, further protection is offered from aggressive media, high pressures, and flow rates while allowing for quick and easy installation of temperature sensors without having to drain process media. 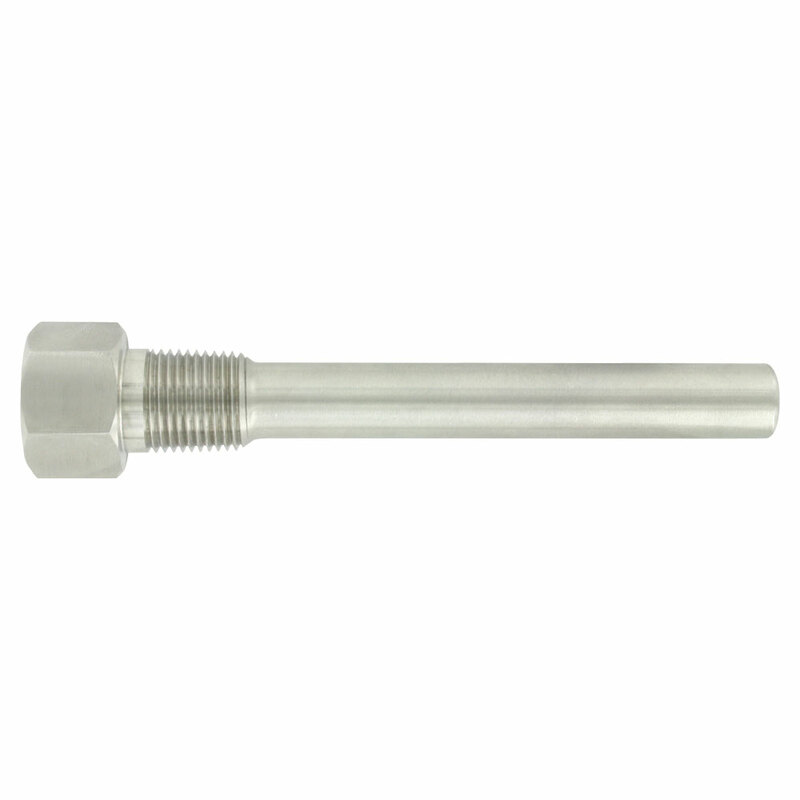 Thermowells are offered in both 304 and 316 stainless steel allowing for superior corrosion resistance. 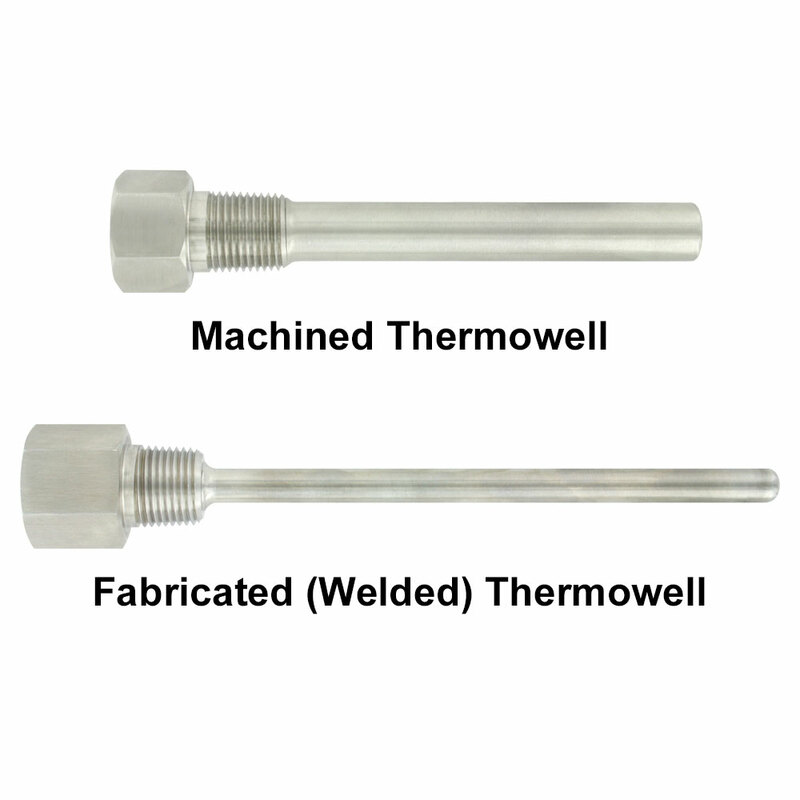 Fabricated, or welded, thermowells are constructed from a tube that is closed at the tip by a welded solid tip. 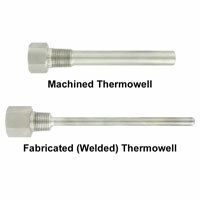 Solid-machined thermowells are manufactured from barstock. Fabricated: 140 psi; Machined: 304 SS: 3700 psi; 316SS: 5500 psi. Fabricated: 1000°F (538°C); Machined: 1200°F (648°C). Fabricated (welded) or machined model specific.